With 2017 still fresh as a daisy, why not use these last few bleak months of winter to learn a new skill? 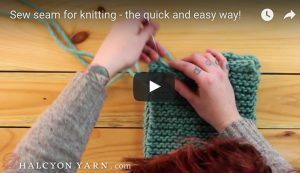 There are so many resources out there for knitting advice, techniques, lessons, etc. Every person has their own style of teaching, and every student has their own style of learning. I’ve put together a few videos and products that, in my opinion, are all you really need to get right down to clicking those needles. 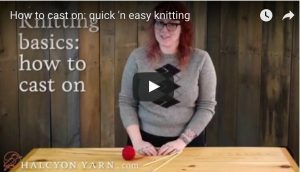 Today I want to tell you how easy it can be to make something fun and beautiful for yourself, even if you aren’t an expert knitter. 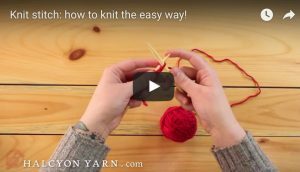 How to Knit is an inexpensive booklet that is filled with everything a beginner to advanced beginner would need to know. If you like to teach yourself by looking at pictures and following written instructions, this is the book for you. It contains the basics you’ll need to start out, and then many next steps for when you’re ready to get fancy. I would like to warn you, though: don’t be overwhelmed by all that information! You don’t need to know everything right off the bat. You’ll notice that this cowl requires you to know how to sew a seam. We’ve got a video for that, too! Ready to put all of these together? I wrote up a pattern just for that purpose. You can download it right from our website. For free! 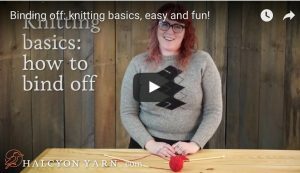 It’s the Easy: Learn to Knit Cowl Pattern Download, and I’ve seen a lot of first time knitters make it, with amazing results. It uses one skein of Lamb&apos;s Pride Bulky Yarn. 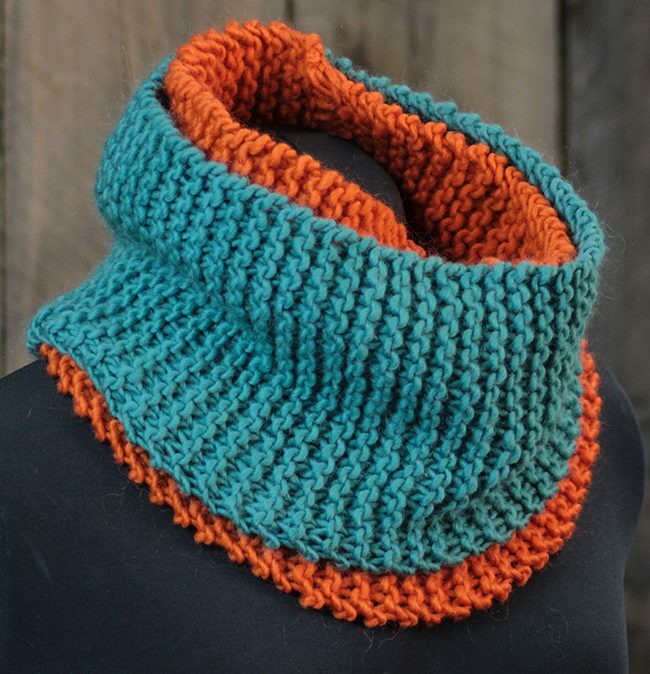 I’ve also seen folks make it with Malabrigo Mecha Yarn and Caracol Yarn by Malabrigo, with stunning results. And for those of you who already know how to knit, this is a great quick project. If you’re needing a last minute gift idea, or you’ve got about 100 yards of bulky weight yarn that needs a purpose, this is a nice option. A few other things you’ll need for this project are Bamboo 12" Single-point Knitting Needles, Size 15 and Large-eyed Tapestry Needles (Susan Bates) Sz 13. What else to make…? If you’re not so much into cowls as Fingerless Mitts, you can use all these same skills and resources to make a pair of those bad boys, too. 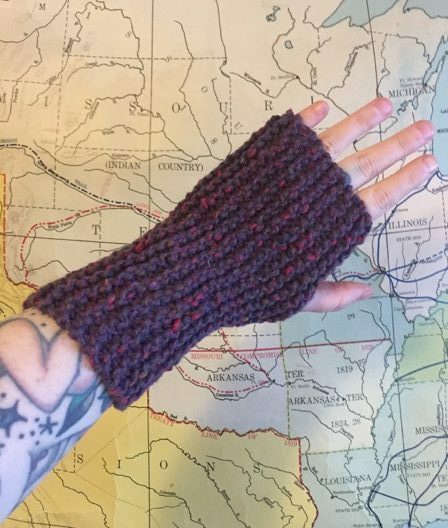 Check out my post on easy fingerless mitts, which includes a free read-along pattern for how to make them! 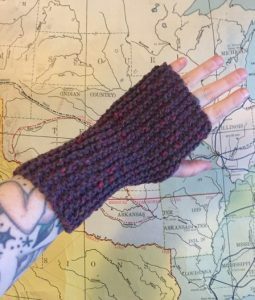 You can use the same techniques and skills to make the Whole Wide World - Fingerless Mitts Download too!